Smartphones are our greatest distractions and focus killers. Many people buy a smartphone and make its use limited for calling, messaging and social networking which you can do from the general mobile phone also. Then why to waste money on a smartphone if you are not using it smartly. Use it for a purpose and close it down. Do not use smartphones to kill your time. Learn to use them wisely and smartly by knowing such 8 ways to smartly use your Android smartphone from this post!!! It’s important to back up your content and for that, you can always use any one of several cloud options, but what you also need is a Dumpster. The App can help you retrieve apps and other files you accidentally delete on your phone. At least once a month, I feel glad that the App is still there. The Android operating system is endowed with many features that most of us do not know. But many of these features are easy to set up and makes our life much easier. One of the features is the Android Smart Lock with which you can keep your Android phone or tablet unlocked in some situations, like when your phone is in your pocket or you’re near home. When you use Smart Lock, you won’t need to unlock with your PIN, pattern, or password. The features you can use depend on your device. 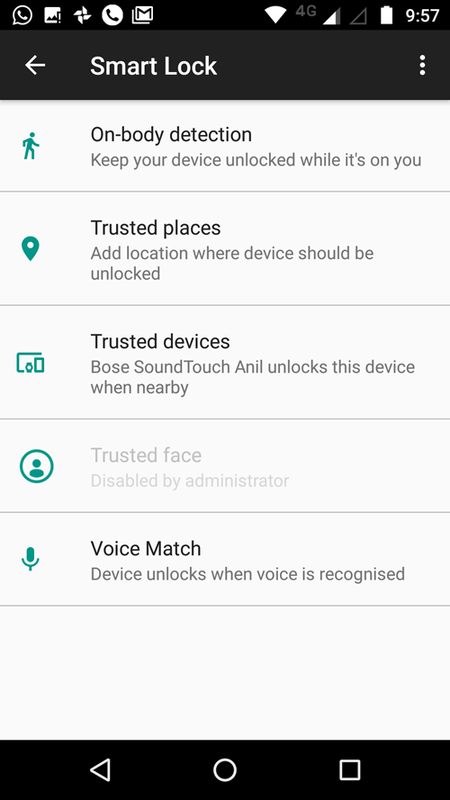 You can choose to have Android unlock based on Bluetooth or NFC connections, trusted locations, when you’re carrying your device with you, or when it recognizes your face or your voice. Apps are tools you use to accomplish anything and everything on your smartphones. You should invest some time in discovering and trying news apps, and 1 out of 10 might stick with you forever. You can download efficient calendar apps, Note apps, Pocket, apps to monitor your fitness or perhaps apps to use your phone as a level indicator. Screen pinning is a feature of Android devices that enables the user to only show a specific app screen. This means all other functions of the phone are locked, apart from the one app that is pinned. This is incredibly handy for parents who give their phones to their children. It’s possible to pin YouTube, for example, meaning that all other functions of your phone are locked down. Settings > Security > Other security settings > Pin windows. You can pair your smartphone with other gadgets and use them in wonderful ways. A simple example is Chromecast dongle which you can use to cast everything on your phone to a large HD TV display. Similarly, you can also use MHL adaptor and convert your smartphone to a gaming console. Another key advantage of the Android life is that there’s a lot of integration if you’re a Google user. The core apps such as Gmail, Calendar, Photos, and others should work seamlessly with your phone. Google’s voice assistant is just an “OK Google” away. ALSO READ The Top 10 Best Cache Cleaner For Android You Must Use. A particularly nice feature in the latest version of Android (Marshmallow) is Google Now on Tap, which sort of acts as a Google-powered footnote to whatever you’re reading tap a word and you’ll get a Google search about it. But even if you don’t have Marshmallow, you can run a Google search on any phrase on any website in Chrome by highlighting text. A small window should slide up from the bottom of the screen, and tapping it will initiate a search. You don’t even have to leave the page you’re on. You can also turn this off in Chrome’s settings. Just head to Settings> Privacy > Touch to Search. If your Android device is running Android 7.0+, you can use the Recent Apps list to enable Multi-Window mode. Multi-Window mode allows you to view two apps at the same time. Samsung Galaxy devices have a similar feature as well. To trigger that, you can tap and hold the Recent Apps button on your phone, which tends to be to the right of the physical home button. That will prompt it to go into split-screen view. All You Need to Know About SSL, TLS and Encryption For Securing A Website.